On application of the BFPA British Fluid Power Association, NOV National Oilwell Varco Training Centre was awarded CETOP approved Education centre. Following their recent accreditation to deliver CETOP Level 1 courses, BFPA Training member National Oilwell Varco Training Centre, based in Scotland are pleased to announce they have held their first CETOP Level 1 course. Jordan Routledge of Ensco Drilling recently attended training at the NOV facility in Montrose UK, gaining CETOP Level 1 accreditation. 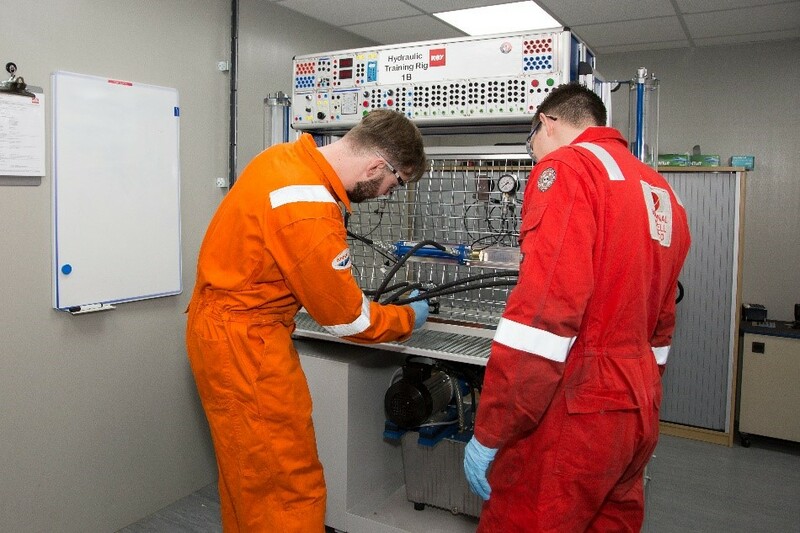 The course, which was carried out in NOV's state-of-the-art hydraulics lab, was designed to ensure attendees could work safely with hydraulic systems. The Level 1 qualification is recognised worldwide, and provides successful participants a platform to complete further hydraulic training. "I enjoyed the course, and think it was extremely valuable," Jordan said. "Knowing the course was approved by CETOP really made a difference; when you undertake such training, you want to be sure you're receiving the best of the best. Marc and the team gave me that confidence from the very beginning." Jordan has also expressed an interest in completing NOV's more advanced courses, which include Accumulator Competence training and CETOP Level 2. Both will be available next year. This latest award follows on from NOV's other recent achievement in which the company's Foundation Course - Hydraulics Fundamentals was assessed and successfully met the BFPA's Minimum Educational Recommendations for Hydraulics.